Dr. Gibbs could you please first tell us what is the activity of the General Biomass Company? 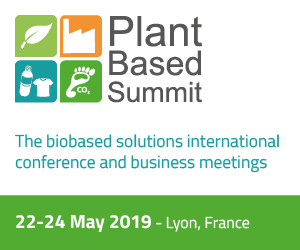 General Biomass Company is currently developing advanced industrial enzymes and other technology to convert nonfood cellulosic feedstocks to sugars for bioplastics, sustainable packaging, renewable chemicals and biofuels. Our cellulosic technology can produce sugars from a wide range of feedstocks: agricultural residues, urban MSW, forest residues, or peripheral biomass from fruits, palm and coffee beans. We work with customers to create supply chain technologies for sustainable packaging in the food and beverage industries; ethanol, butanol and biojet producers who want to utilize cellulosic feedstocks; and companies who want to turn waste products into sustainable GHG-reducing solutions. Our technology produces single enzyme components ideally suited for bench scale and robotic high-throughput testing to create customized enzyme cocktails for any biomass feedstock. In the prepilot and pilot phases, our technology can scale up, giving customers the flexibility to make changes and derisk their process. For demonstration and production plants, we can provide licensed cell lines which enable customers to produce the enzymes they need onsite, eliminating enzyme transportation costs. We offer a range of services from consulting on specific projects, specific biomass feedstocks, technology and patent analysis, to working with R&D departments to develop new enzymes selected and customized for their applications, lowering risk in the R&D and pilot phases, lowering costs at commercialization. We are particularly focused on the production of nonfood sugars from low cost waste and nontraditional sources of biomass. 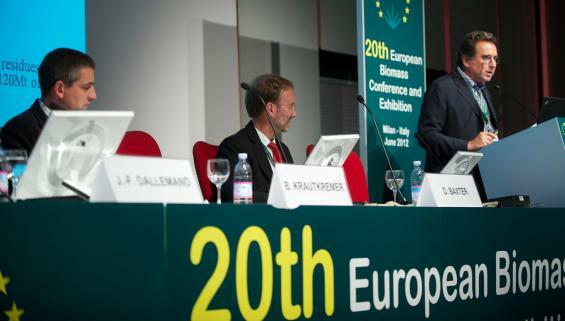 How strategic is the presence of biomass for the development of the bioeconomy? The availability of cheap nonfood biomass in quantity is the absolute key to the further development of the bioeconomy. Using nonfood cellulosic feedstocks for bioplastics and biofuels has never been more important or more timely. Corn feedstocks in the U.S. are reaching their limits, generating price volatility, food vs fuel pushback, and increasingly, a negative brand image for companies making bioproducts from corn. Cane sugar in Brazil has room for expansion, but is limited to that country. Good agricultural land, such as that in the U.S. Midwest, is reaching a peak and is needed for food production to support a larger global population which wants more food in general and more grain-intensive meat, milk and poultry. In addition, these traditional farm areas may be subject to periodic droughts such as occurred in 2012, made more likely by climate change. In general, we need to focus on developing an infrastructure to support a nonfood sugar-based supply chain, starting with cheap waste biomass sources such as urban MSW, construction and demolition waste (CDW), and peripheral biomass from a variety of food and beverage crops and processing wastes. Nontraditional feedstocks such as agave, currently used for tequila and sisal, could be game-changers since they could vastly expand production on presently unused semi-arid lands. The nonfood sugar output needs to be standardized and concentrated to permit rail car shipment of nonfood biomass sugars (e.g. glucose, xylose) as commodities and fungible biobased intermediates. This would allow biobased chemical and plastic producers to focus on what they do best, and simply order tank cars of concentrated sugar syrup. At BioPlastek 2013, our presentation showed that converting raw biomass, such as corn stover or wood chips, to 80% sugar syrup could reduce transport weight by 1.4-2 times, and transport volume by 8-14 times, enabling rail transport. Rail transport costs 20% compared to truck transport and is a key to large-scale development of the bioeconomy. In this sense, what do you think is the different role of Canada, USA, Asian countries such as Malaysia and India, and Europe? The central question for the development of any new field, such as the bioeconomy, is: “Who’s going to do it?” Which countries and which companies are going to make the investments and do the hard development work to achieve the technology and the infrastructure which are necessary to move forward? Technologies are important, feedstocks are important, but at the end of the day it is all about who has the will and motivation to fund and develop these systems. With that in mind, both Canada and the U.S. have large biomass feedstock resources in the form of forest and agricultural wastes, but also confront a situation where shale oil and gas are seen as a route to energy independence. Additionally in the U.S., gasoline demand is falling as a result of increased auto mileage efficiency and less driving, and corn ethanol is presently cheap. In both these countries and perhaps Europe, austerity policies make it less likely that significant new government resources will be put into biomass development, though there are some interesting projects. In contrast, the market dynamics for biobased fuels and chemicals are very different in Asia. The demand for energy in Asia will roughly double in the next 20 years. This is true for China, India, Malaysia and the ASEAN group of countries. The use of biomass to meet this additional demand will be much more pressing than the energy replacement needs of the U.S. and Europe (Zwart, J Oil Palm Environ 2013). Technology developers in the U.S. and EU will continue to have a significant role. 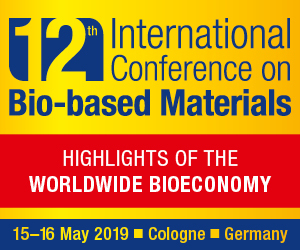 Finally, on the point of “Who?”, we need to realize that production of biobased chemicals and plastics from biomass may be a very significant driver of technology development, since the monomers for bioplastics have a higher oxygen content and thus a higher yield than the alkanes needed, e.g., for biojetfuel or biodiesel. Both chemically and financially, this becomes attractive for consumer brands and sustainable packaging. The simple marketing message is that making cups, bottles and apparel out of food or oil won’t cut it in the 21st century. Good efforts are coming out of CocaCola with its PlantBottle and P&G with its Pantene and CoverGirl packaging made from bioethanol, but these are in the minority and still rely largely on food sugars. Sustainable brands can be a major driver of the biomass-based bioeconomy if they choose to do so. As far as you’re concerned, how important are the logistics aspects for the future development of the bioeconomy? In particular for Southern Europe which does not have large biomass availability? As indicated earlier, the availability of cheap nonfood biomass is key. With respect to areas like Southern Europe which may not have substantial forests or unused land, we need to become more creative and turn to both urban municipal waste and processing wastes from the food and beverage industries. These may be available in smaller quantities, and thus new technology is required to convert them to fungible intermediates such as nonfood sugars which can be shipped and aggregated. Examples of such wastes from the beverage industry include spent brewer’s grains from the beer industry and spent coffee grounds. Waste paper is an ideal feedstock for cellulosic sugars. Construction and demolition waste (CDW), old pallets, and tree and lawn waste are sources for biomass conversion. More generally, we need to realize that over half the world’s people now live in cities, and that converting the organic fraction of municipal solid waste to sugars would help to solve two major problems: 1) renewable sources of fuels and chemicals, and 2) the elimination of landfills, which convert waste urban biomass to CO2 and methane very inefficiently. Properly using these urban resources would go a long way toward reducing our carbon footprint. Which are the main laws that foster the development of the bioeconomy in the USA? The two main government programs promoting biofuels in the U.S. are the Renewable Fuel Standard (RFS-2) and the military drop-in biofuels program headed by the U.S. Navy, known as the Great Green Fleet. The Renewable Fuel Standard was established by the Energy Independence and Security Act of 2007. It provides an escalating set of goals for renewable fuels including conventional biofuel (corn ethanol), advanced biofuels which must come from renewable biomass and achieve a 50 percent GHG emissions reduction (biodiesel qualifies), and cellulosic biofuels from renewable biomass achieving 60 percent GHG reductions. The final goal is 36 billion gallons/year of renewable fuels production by 2022. In practice, most of the goal through 2013 has been met with corn ethanol (13 B gal) and biodiesel (1.7 B gal), while cellulosic ethanol production has lagged far behind its targets (only 6 million gal in 2013 vs the goal of 1 billion gal). The Environmental Protection Agency (EPA) has the power to waive or adjust RFS goals based on actual production capacity and demand. Recently, the EPA has proposed reducing the overall 2014 RFS biofuels target by almost 3 billion gal/year, for a total of 15.2 billion gallons, which would have a large negative impact on both the U.S. ethanol and biodiesel industries, as well as reducing investment in advanced biofuels. This has come about from a combination of lobbying by the oil industry and livestock producers, and the “blend wall” of 10% ethanol (E10) tolerated by U.S. auto engines. Efforts to promote E15 have met with opposition in the U.S., though regular “gasoline” in Brazil contains 20-25% ethanol, and many Brazilian drivers choose “ethanol” (E85). The U.S. Navy has taken the lead role in using government defense procurement to stimulate advanced biofuels production. The program makes use of Title III of the Defense Production Act (DPA), which was designed to stimulate the production of critical raw materials needed by the military. Having survived initial legislative attempts to scuttle the program, this partnership between the Navy, USDA and DOE is now moving forward in the form of budget requests to House and Senate committees to fund initial efforts aimed at delivering up to 170 million gallons of military biofuel per year beginning in 2016. Additionally, the “Farm to Fleet” partnership between USDA and the Navy supports plans to add biofuels into its domestic purchases of jet fuel (JP-5) and marine diesel (F-76) starting in 2015. Previously, the Navy has demonstrated the successful use of biofuel blends in a variety of ships and aircraft, including helicopters and the “Green Hornet”, an F/A-18 fighter jet running on 50% biofuel made from camelina which costs $67.50 per gallon. The challenge now is fuel cost, and whether military (and civilian) aviation biofuels can be delivered at $4 per gallon, which would make them competitive with DOD and commercial jet fuel prices. How do you consider the National Bioeconomy Blueprint launched last April 2012 by President Obama? 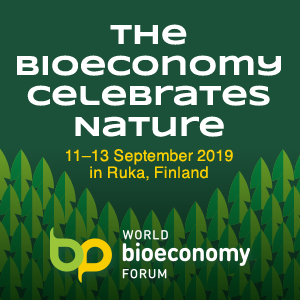 The National Bioeconomy Blueprint of 2012 covers a wide range of objectives including support for R&D overall, bioenergy and biomaterials, pharmaceuticals and medical programs, regulatory relief, technology transfer and workforce development. Though the many objectives are laudable, most involve previously established programs, and there is relatively little funding for new initiatives. There is a sincere aim to strengthen the bioeconomy, broadly defined, and the goals of using government procurement, such as the military biofuels program described above, and the program on Biobased and Sustainable Product Procurement could have a significant impact over time, because they use government in the role of reliable customer. Improving the transfer of technology from federal labs is laudable, but the reality is that most significant technology and product developments originate outside of government labs. Direct funding of entrepreneurial technology companies would yield more success if done wisely.